3.8 out of 5 based on 24 bloggers and 2 commenters. 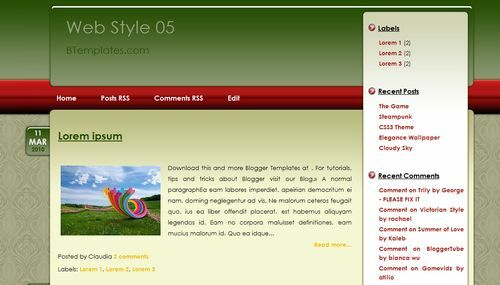 Web Style 05 is a free blogger template with 2 columns, right sidebar, web 2.0 design, rounded corners, posts thumbnails and gradients. Great.. i will try to use it.